The new Toyota Prius Plug-in Hybrid, the second generation of Toyota’s plug-in hybrid electric vehicle (PHEV), made its world debut at the recent 2016 New York International Auto Show. 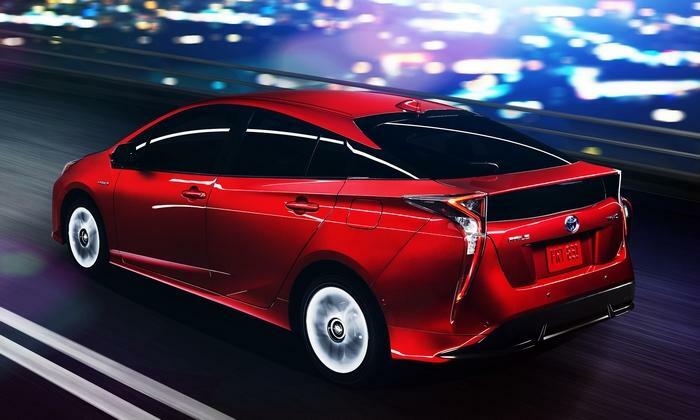 The new model builds on the strengths of the latest Prius, which was introduced earlier this year, while having a distinctive design all of its own. It marks an evolution of the responsive, intuitive, quiet and refined hybrid system that can be found in seven other Toyota models. It looks far more appealing that the current Prius. Ideal for customers who want a hybrid vehicle and the benefits of extended EV driving, the new Prius Plug-in Hybrid will be available in showrooms worldwide (including the UK and Europe) from the end of this year. Price and dates still unknown. The current model starts at £28,395 in the UK with a claimed 134.5 MPG. The new model’s Hybrid Synergy Drive powertrain features a larger, 8.8kW/h lithium-ion battery pack, allowing drivers to enjoy the benefits of EV driving for longer periods and improving the potential driving range from a tank of fuel. It posts a substantial improvement in fuel consumption compared to its predecessor, with an estimated average figure of 202mpg, the best rating for any current plug-in hybrid on the market, while achieving a CO2 figure of just 32g/km. Even when not running in EV mode, Prius Plug-in Hybrid will automatically favour its all-electric drive capability in situations where this can deliver higher efficiency than the petrol engine, most notably when driving around town and on shorter journeys. The car is equipped with a Toyota-first dual motor/generator drive system, which uses both the electric motor and generator to produce drive torque, helping boost both acceleration and overall performance. The new plug-in hybrid system further minimises use of the petrol engine, even when accelerating quickly or using the cabin heater, with the adoption of a new battery-powered heating system that improves efficiency in cold weather, and the world’s first heat pump air conditioning system with gas injection. As a result of these advanced technologies, the new Prius Plug-in Hybrid offers responsive, class-leading acceleration and can be driven at speeds up to 84mph while still in EV mode. The potential EV driving range is more than 30 miles, around twice that of its predecessor. Charging the battery should only take around two hours 20 minutes, in spite of its increased capacity. In common with all Toyota full hybrids, Prius Plug-in Hybrid can run on a seamless combination of power from its petrol engine and electric motor, or on its electric motor alone. Regenerative braking captures kinetic energy produced when braking or when the vehicle slows, converting it into electric power for storage in the battery, further helping reduce fuel use. The hybrid system’s 1.8-litre Atkinson cycle VVT-i engine also plays an important role in Prius Plug-in Hybrid’s overall efficiency. Its large-volume exhaust gas recirculation system, improved combustion efficiency and innovative measures to manage heat and reduce friction have improved its thermal efficiency to 40 per cent, a world-best figure for a mass-produced petrol engine. Prius Plug-in Hybrid’s Toyota New Global Architecture platform plays a defining role in its fun-to-drive quality, giving the car a lower centre of gravity and enabling a more engaging driving position to be set. Handling is more precise and responsive, with less body roll. The double wishbone rear suspension adds to the improved handling quality, producing one third the level of shock when driving on uneven roads, compared to the current model. The MacPherson strut front suspension has also been revised to secure better handling with more direct response. The new Prius Plug-in Hybrid displays a chiselled profile and edgy character lines, and has a more road-hugging look and a lower centre of gravity. Compared to the current model, it is 165mm longer, 15mm wider and sits 20mm lower to ground. As with the standard Prius, the TNGA platform has given the designers a freer hand to craft a car that has richer visual appeal, with lower lines overall and a more athletic stance. The wind-cheating aerodynamic qualities of its styling combine with the low overall weight of its high-strength bodyshell to make a significant contribution to its exceptionally low energy consumption. Its 0.24 drag coefficient (Cd) is expected to be among the lowest of any production saloon, achieved with a number of advanced design features such as the “double bubble” tailgate glass and an automatic grille shutter which automatically closes when airflow is not needed to cool the radiator. Weight has been kept to a minimum through extensive use of high-tensile steel in the bodyshell, aluminium for the bonnet, and in a first for a mass-produced car, a carbon fibre reinforced plastic (CFRP) tailgate. Its status as an individual model within the Prius range is confirmed by a unique lighting signature, created with four-lamp LED projector headlights and LED tail lamps. TNGA also helps define the car’s “peace of mind” interior. This captures the look and feel of a luxury coupe with its engaging driving position, high comfort levels and four-seat layout, built around a full-length centre console. 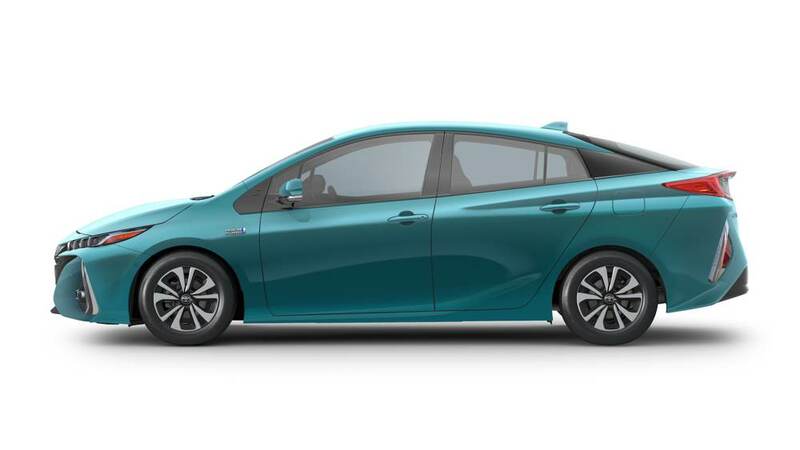 The design is advanced but functional, inheriting the intuitive concept of previous Prius generations by consolidating the operational functions closest to the driver and the information functions further away. The dominant centre cluster has a floating design, created using a sculpted, concealed rear mounting. The eight-inch touchscreen allows for easy operation of audio and navigation functions, including flick actions to scroll through the different displays. The instrument cluster has dual 4.2-inch full colour TFT screens which display information with excellent clarity and sharpness. Their content can be changed using a menu control switch on the steering wheel. 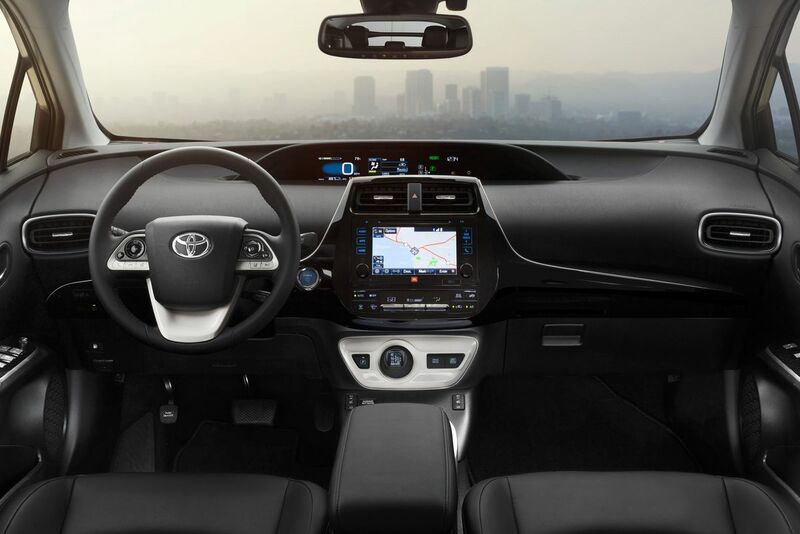 Quietness has always been a distinguishing characteristic of Toyota hybrid vehicles and the new Prius Plug-in Hybrid extends this quality further, using a sound-insulating laminated windscreen and front door glazing to create an exceptionally quiet and calm cabin environment. The technological achievements of the new Prius provide an impressive platform for Prius Plug-in Hybrid to go further, notably focusing on a safer and more comfortable experience for driver and passengers. Features unique to the model include LED projector headlights with vehicle speed-sensitive adaptive beam technology. It also has a new solar roof charging system, equipped with its own battery. This technology was first demonstrated on the Auris Hybrid Concept in 2010 and is now making its first appearance on a production Toyota. The intelligent S-Flow automatic air conditioning system has been made smaller and lighter and uses less power. A new electric compressor provides quieter operation and the system automatically detects whether front and rear passenger seats are occupied, adjusting airflow accordingly to achieve the most efficient operation. In Prius Plug-in Hybrid this system marks a world-first by using a heat pump with gas injection. This allows it to cool or heat the cabin when the vehicle is running in EV mode, without the petrol engine being brought into play. Other features shared with the standard Prius include a wireless phone charging tray beneath the centre stack and a colour head-up display, presenting information such as vehicle speed, battery charge, hybrid system status and Toyota Safety Sense function clearly on the base of the windscreen, so it can be seen without the driver having to take their eyes off the road ahead. Toyota’s new Simple Intelligent Parking Assist will also be available, allowing automatic steering into parallel or series parking spaces and out of parallel slots. Prius Plug-in Hybrid will be offered with Toyota Safety Sense, equipping it with integrated active safety and driver assistance functions including a Pre-Collision System with Pedestrian Detection and Autonomous Emergency Braking; Lane Departure Alert with Steering Assist; Full-Speed Adaptive Cruise Control with full stop technology; and Automatic High Beam headlight operation. A Blind Spot Monitor and Rear Cross Traffic Alert will also be available. We await dates and prices and our invitation to the launch and test drive. The Prius has always looked a little strange and never like a “normal” car. The trend continues with latest version unveiled by Toyota in Las Vegas yesterday. And boy does it look strange. The all-new 2016 model looks plain odd a little like someone has driven into the back at high-speed. The Toyota Prius, a household name that has come to define hybrid cars for nearly two decades, was reborn Tuesday night with the introduction of a bigger, more fuel-efficient model for 2016. Toyota didn’t release powertrain details on the redesigned and re-engineered Prius (those are expected ahead of the Tokyo Motor Show in October), but the company promised the 2016 version would be lighter, 10 percent more fuel-efficient than its predecessor and — rare for virtually any hybrid — fun to drive. The fuel efficiency gains resulted from smaller and lighter components in the hybrid system, denser batteries that pack more energy and a more efficient internal combustion engine, Toyota said. Toyota is shifting the focus to design and technology, waxing poetic about the car’s “athletic shape,” better driving dynamics, and Toyota Safety Sense — a package that includes things like automatic pedestrian avoidance and full-speed dynamic cruise (meaning the car will manage your speed for you, going all the way to a full stop in a traffic jam). 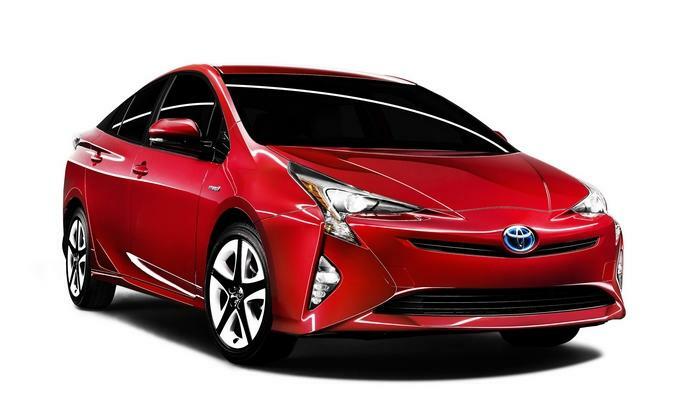 That’s because the 2016 Prius is the first vehicle from Toyota to ride on the company’s all-new modular platform that will underpin future models like the Corolla and Camry. 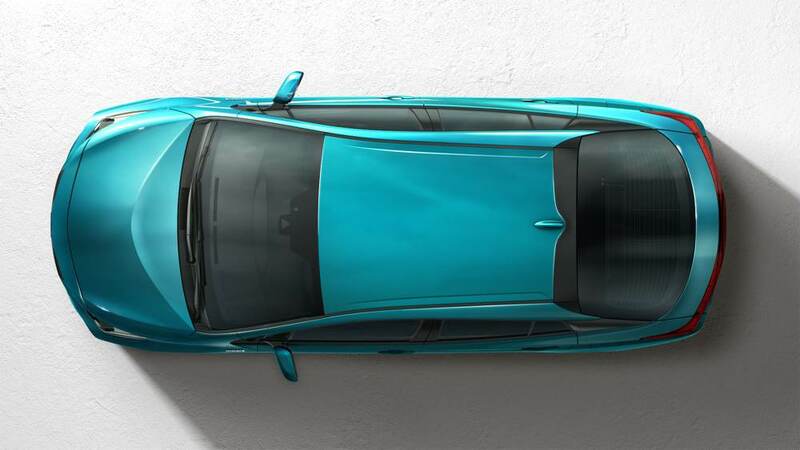 The new platform gives the retooled Prius a lower centre of gravity for better handling. The car is also 6 cm longer, 1.5 cm wider, and 2 cm lower than the Prius before it. The changes mean more occupant and cargo room, Toyota said. The Prius will also feature an all-new rear double suspension and more rigid body to improve ride and driving dynamics. The hatchback profile carries over but the 2016 version wears aggressively styled sheet metal — especially in the rear — which echoes Toyota’s Mirai hydrogen fuel cell car. 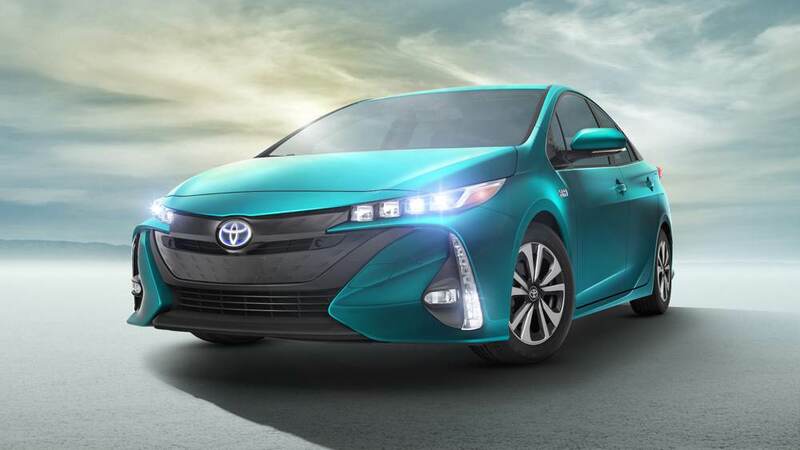 The newest styling will still distinguish the Prius from anything else on the road. The unique looks will have plenty of existing owners to please. Not only does the Prius have some of the best name recognition in the green-car world, but it also enjoys some of the most loyal customers in the industry, according to Edmunds.com. With more than 3.5 million sales since its debut in 1997, the Prius holds a healthy audience. But the new model also faces a major headwind: Low U.S. gasoline prices that have sent sales of alternative-powered vehicles tumbling 16 percent this year. The Prius family has seen U.S. volume slip 17 percent to 125,830 vehicles through August. 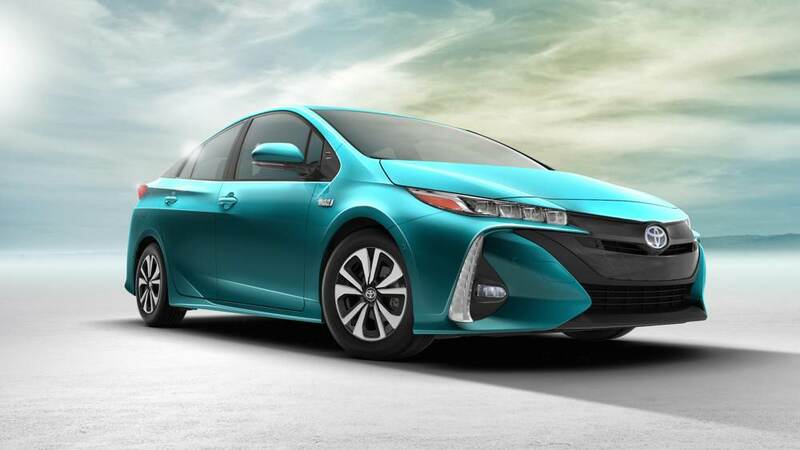 In addition to the 2016 model that debuted Tuesday night, Toyota also plans an Eco model of the Prius. That version will be even more efficient than the base model, and will have slightly different styling. Toyota declined to reveal other details or say whether it would cost more or less than the model released on Tuesday. No news of a Plug-in version.